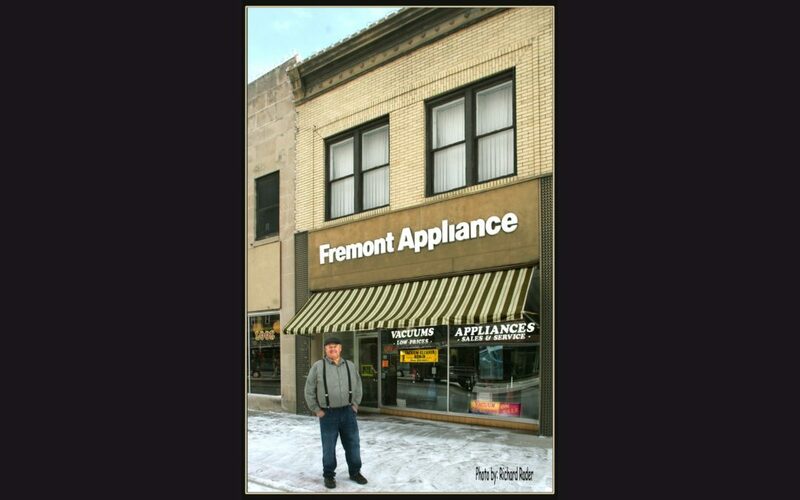 This first Sunday of March 2019 brings us to this re post of a great Downtown Fremont Property and it’s dedicated owner/operator. Stop in just to say thank you Roger for supporting our downtown now into his 51st year. You would be surprised how many of our downtown merchants are in this club. 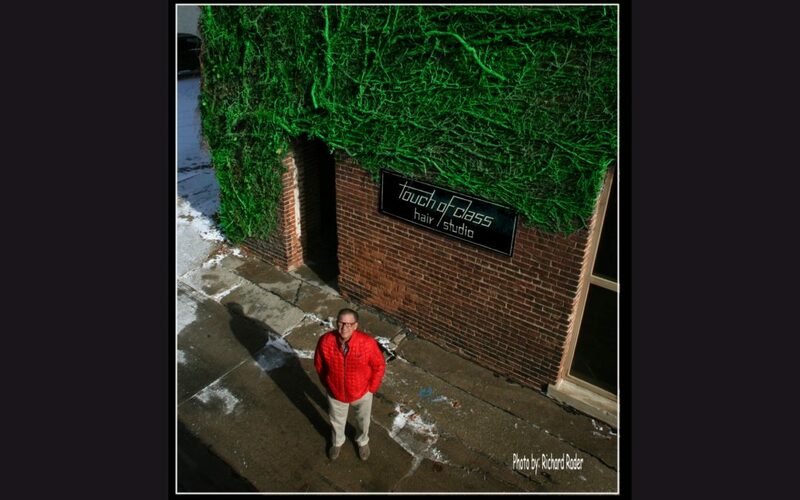 Taking a second look today at “Touch of Class”. 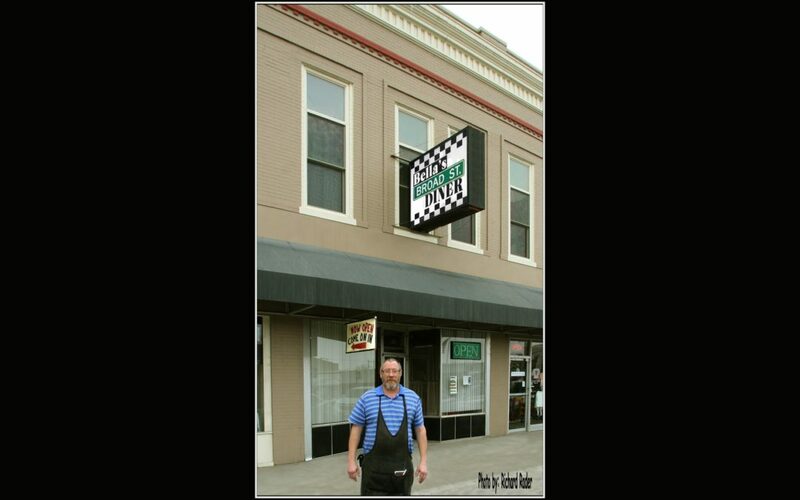 Kurt and his great staff have been styling on the stage of the old Empress Theater for most of 33 years and 41 years in the hair styling business in Historic Downtown Fremont, Nebraska. 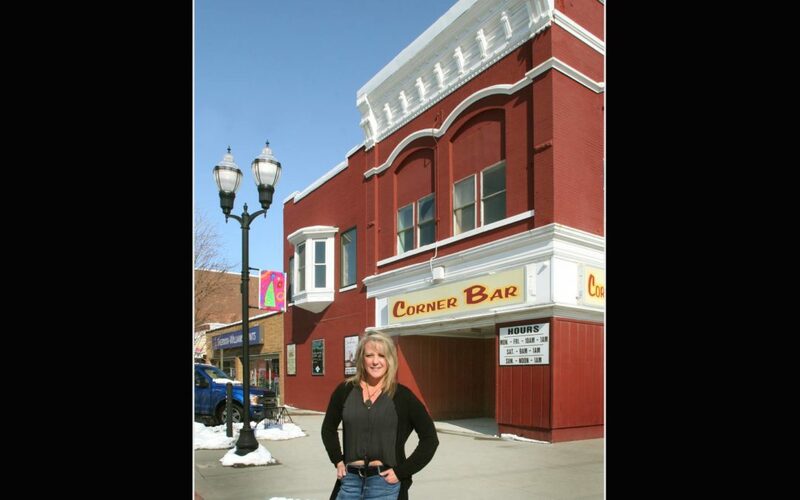 A recent customer gave this review of the Corner Bar. “A late-70s renovation look, the Corner Bar manages to retain its century-old character. The bar includes two pool tables, pinball, dart boards, a jukebox, an ATM, and a few video games. Watch yourself when entering the bar, one of the dart boards is immediately to the right just inside the front door”. Tammy is very proud of this place, just ask her. 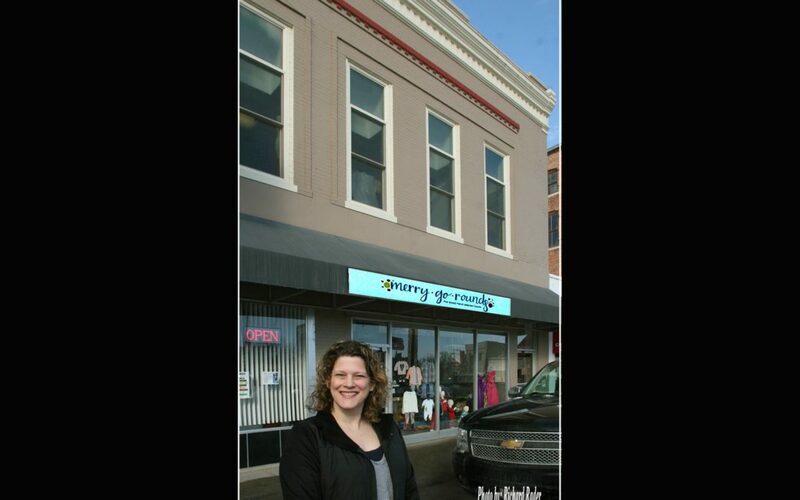 Here is a person with class running a business on the corner of 3rd and main street in Historic Downtown Fremont. 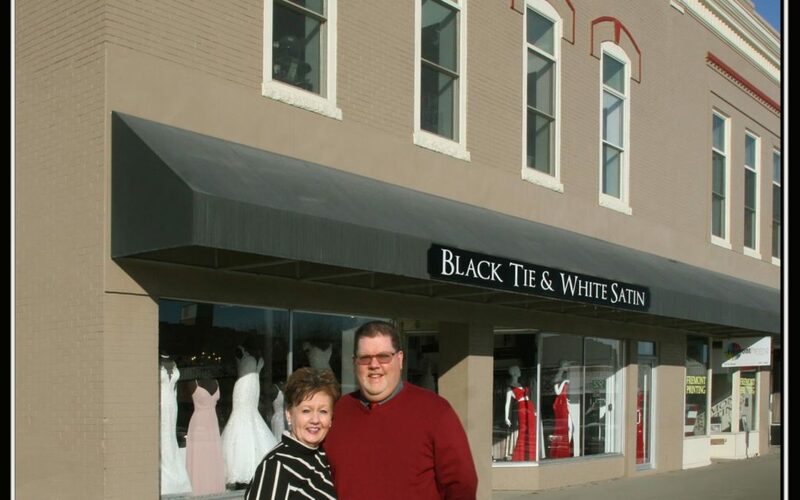 Black Tie & White Satin offers a broad range of dresses for all events from Bridal to Prom to Special Occasions with great customer service right here at 5th and main in Historic Downtown Fremont. The lady sitting with her husband in a booth over there along the wall said, “look at this, a place to hang your coat”, referring to the coat tree mounted to the end of each booth. I timed my visit to Bella’s Broad Street Diner so Bob could take a break and pose for me when not so busy. Collene, Bob’s wife ran to the kitchen as soon as I pointed my camera in her direction, “I don’t want my picture taken”. Bob and Collene are it, mom and pop all the way. Down home and as great as it gets right here on Broad Street in Historic Downtown Fremont, Nebraska.